Idiommata spp., generally are known as silverbacks due to the silvery hairs on the head and body of the males. 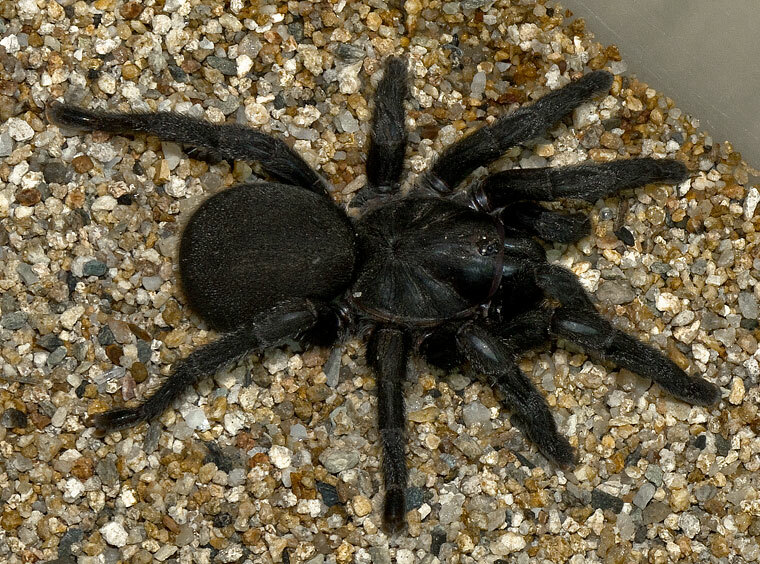 The Giant Brushfooted Trapdoor is one of the larger of the species, if not the largest. Body length 30-40mm. The female is robust, black and hairy. From above, the two short spinnerets are hardly discernable. The Giant Brushfooted Trapdoor is found in rainforest and open forest in Queensland. Its burrow is short, open, with a thick door at the end of the opening section. This spider is capable of climbing smooth vertical surfaces. 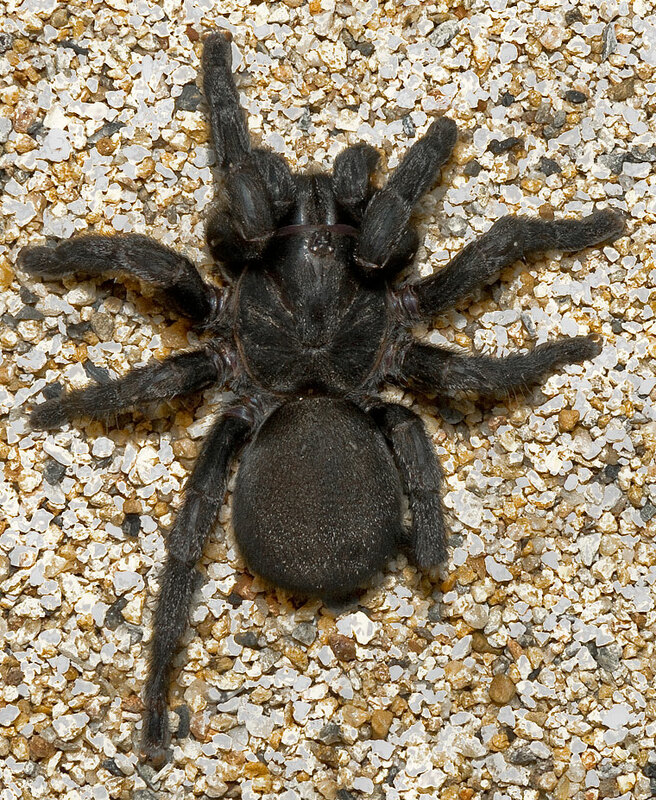 While they are not aggressive, they are large spiders capable of inflicting nasty bites with possible complications A child in Western Australia experienced a serious reaction after a bite from an Idiommata sp. (Queensland Museum).